Airport Operational Services Ltd, are the official distributor in the UK and Ireland for. 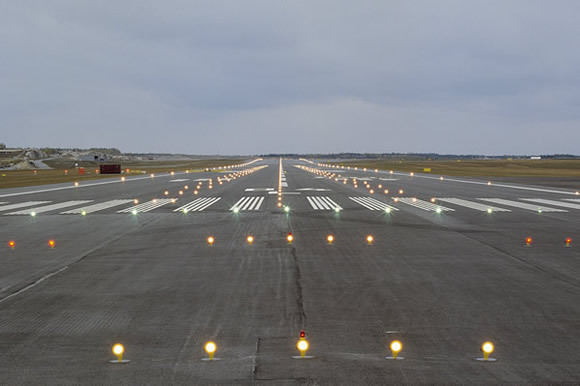 Idman Aerodrome Ground Lighting (AGL) offering a complete range of Aerodrome Ground Lighting from Individual luminaries to complete lighting systems from Visual Approach (scale L4) to relevant Cat I to relevant Cat III (scales L2 and L1) and Helipads. All Idman products comply with relevant CAP 168, relevant ICAO Annex 14 and with relevant FAA and STANAG (NATO) requirements. With products in operational use at more than 400 airports worldwide. Idman lighting products are easy to install and maintain and are proven to last the test of time. Idman airfield lighting has certified relevant ISO 9001 and relevant ISO 14001 quality and environmental systems for design, development, marketing and production of airfield lighting equipment. We have a team of leading Consultants and Engineers for all the aspects of Airside Operations at Airports and Helipads and we can provide you Help and give information on the development of your Aerodrome or Helipad and Aerodrome and Helipad Operations. We can provide assistance to Large International Airports, General Aviation Aerodromes, Small Grass Airfields, Water Aerodromes, Heliports, Private Helipads,and Hospital and Police Helipads . E-Mail us at enquiries@airport-ops-servs.com or telephone us on +44 (0) 1652 688 356 or 07778 843540 for more information.